Albuquerque Nursing Home Abuse Lawyer | Keller & Keller . The nursing home abuse lawyer you choose to handle your case should be familiar with both state and federal regulations that are designed to protect the interests of residents living in these facilities. In addition to our many verdicts and settlements, Keller & Keller's injury attorneys have been recognized as Super Lawyers, listed in Best Lawyers in America, and are AV-rated. 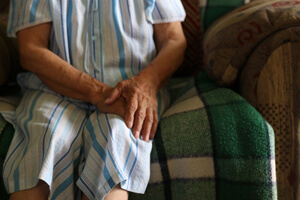 Unfortunately, because we receive a large volume of calls related to nursing home abuse and neglect, we have witnessed certain injuries and conditions that occur with a high level of frequency, confirming the sub-standard care found in facilities throughout New Mexico. If you do not see you or your loved one's condition on this list, it's possible you still have a valid case. The best way to determine if you can make a recovery for abuse or neglect is to contact one of our attorneys with the details of your potential claim. There are strict deadlines (statute of limitations) associated with New Mexico nursing home abuse cases. If you fail to abide by these deadlines, you risk losing all rights to any compensation. The safest way to determine your exact statute date is by calling one of our nursing home abuse attorneys and giving them details about the incident in question. "Nursing home" is often used as a blanket-term to describe any number of facilities that offer care to the elderly and disabled, however, it's important to identify the specific facility-type where the injury and/or abuse occurred. There will be different regulations and standards of care that we will investigate on your behalf, ensuring that each institution is keeping in accordance with guidelines. Properly identifying your loved one's facility where the abuse or neglect occurred is critical to any potential elder law case. Abuse cases are some of the most costly and difficult claims to pursue. The majority of these cases often require expert testimony and detailed fact gathering, meaning you will need to hire an attorney who can front these costs. One of the first steps an attorney will take on your behalf is to conduct a full and thorough background check on the senior facility or home where you or your family member sustained injury. In many instances, a proper legal investigation will uncover evidence of previous incidents and violations. Certified copies of all applicable medical records will be required, and this will often include documents that verify the alleged injury/abuse as well as any statements or notes made by the doctors or staff working at the facility. It's important that this step of the investigation happens as quickly as possible, as evidence can be lost and witness accounts can fade with time. Keller & Keller's association with nursing home abuse cases has led to our forming valuable relationships with other legal professionals and medical experts in the local community. Our connection with various experts can prove to be a powerful asset when pursuing a neglect claim. We offer a Zero Fee Guarantee to every New Mexico resident who contacts us to discuss their potential claim. This means that you will never be charged for a consultation and the only way our firm receives money is if a recovery is made on your behalf. To speak to one of our attorneys immediately, you can call us at 1-800-253-5537, or write to us through our confidential, free contact form. Our Albuquerque office handles nursing home abuse cases for the entire state of New Mexico, including the cities of Santa Fe, Las Cruces, Alamogordo, Farmington, Roswell, and Rio Rancho, among many others. And depending on your preference, we can visit with you at your home, in our office, the hospital, or wherever is most convenient for you and your family. "My sister received terrible treatment at her assisted living facility. We didn't know where to turn, so I contacted Keller & Keller. I was able to meet with an attorney immediately. They investigated her case thoroughly and eventually filed a lawsuit for us. We feel like the attorneys and staff really worked hard for us, proven by a hard-won successful settlement! I'm so happy and relieved that I hired Keller & Keller to handle this for me and my sister. I definitely recommend them to anyone who feels like their family member has been mistreated by their nursing home!"